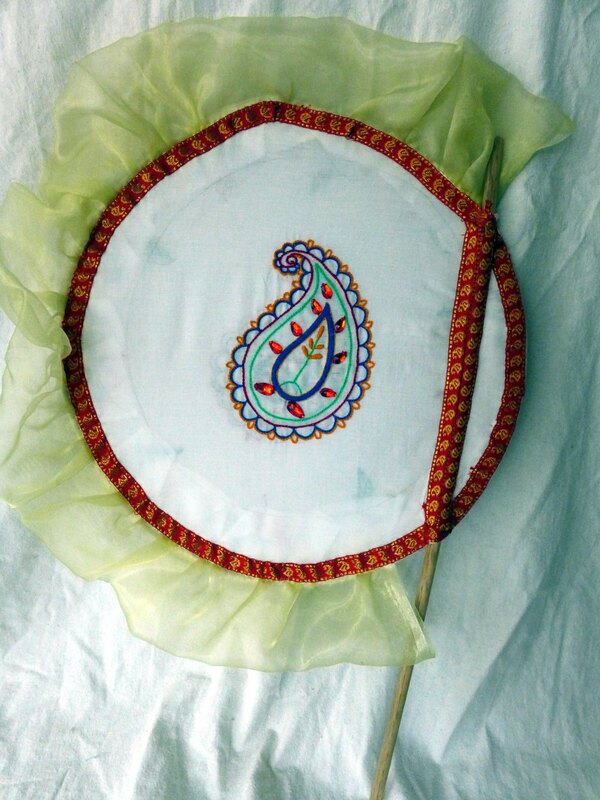 Embroidered Nakshi pakha, or fine traditional Bengali fan with gold gauze frill was displayed at Shoreditch’s Rich Mix Centre in 2012, as part of the 40th anniversary celebrations of Bangladesh Independence in London. Cotton, beads, woven ribbon, gauze, wood. Approx. 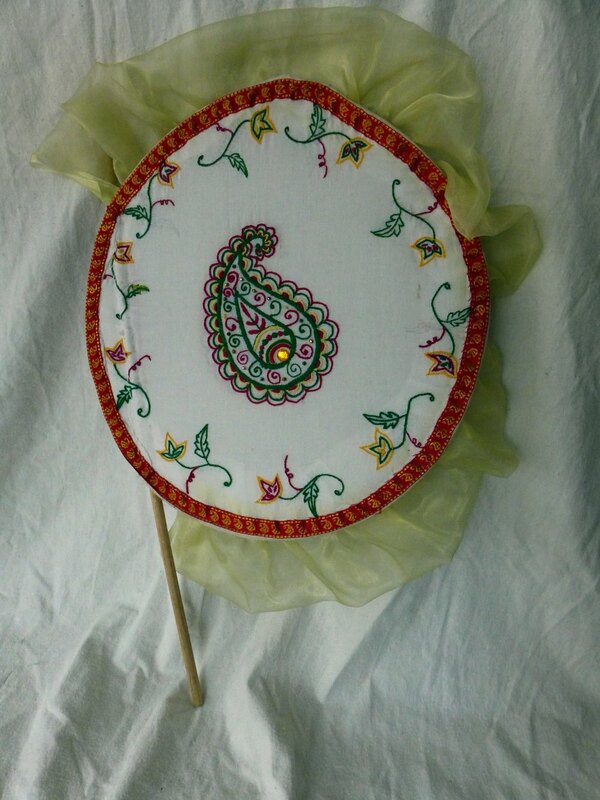 36cm diameter, 6cm frill, 51.5cm handle. It was handmade by women at the Cultural Art Project at Fitzrovia Neighbourhood Association, 2012. Cotton, beads, woven ribbon, gauze, wood. Approx. 36cm diameter, 6cm frill, 51.5cm handle. Condition: very good, used. Some light pencil drawing visible and one light mark.